HOW CAN ROCKY MOUNTAIN PLAY THERAPY INSTITUTE HELP YOU ACHIEVE CERTIFICATION/REGISTRATION? In North America there are two routes to choose from to become a play therapist. The Association for Play Therapy (APT) route, which offers the designation of a Registered Play Therapist (RPT), is shorter in terms of training, supervision and practice hours, and gains access to a large internationally recognized professional organization. The Canadian Association for Play Therapy (CAPT) offers the designation of a Certified Play Therapist (CPT). RMPTI encourages membership and involvement with both organizations! APT Route: To become a Registered Play Therapist (RPT) with the Association of Play Therapy (APT) one of the requirements is to complete 150 hours of approved training. The Green Stream, combined with the Red Stream, provides 150 play therapy training hours. 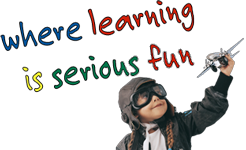 CAPT Route: To become a Certified Play Therapist (CPT) with the Canadian Association for Play Therapy (CAPT), Canadian standards require 180 hours of play therapy training from a CAPT Approved Provider, or from an institute of higher learning. Participants who intend to become Certified Play Therapists should take the Green Stream, Red Stream, plus 1 core (3-day) Yellow Stream Certificate Program. It is recommended that participants take the Yellow Stream Certificate in Sandplay with Special Populations to fulfill the 180-hour requirement. NOTE: RMPTI is not a registering body for play therapists. 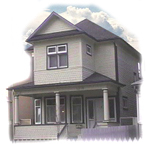 Rather, RMPTI provides approved training. APT and CAPT alone hold the right to accept or deny any continuing education training at their discretion. For details on being registered with the 2 main bodies, see the links below. The main play therapy certifying organizations list specific criteria for meeting the goal for becoming a Certified/Registered Play Therapist. All of our training programs have been approved by these organizations. Rocky Mountain Play Therapy Institute ensures program content continues to meet the certifying organizations’ expectations. Master’s degree in the area of mental health (psychology, social work, counseling). Licensure as a mental health practitioner (i.e.,belonging to a professional organization). Specific core credit courses as part of your degree (or in addition to the degree). This includes: Child development, theories of personality, principles of psychotherapy, child and adolescent psychopathology and legal, ethical and professional issues. 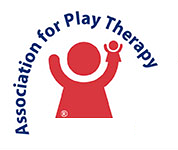 The Association for Play Therapy – APT. By enrolling in the Green Stream Foundations Program and the Red Stream Advanced Play Therapy Program you will gain 150 hours of certified play therapy training. The content meets the expectations of the major play therapy certifying organizations. The hours do not expire, and participants can accumulate training hours at their own pace. Most of the Yellow Stream Specialized Programs can be completed to add play therapy hours for ongoing Continuing Education requirements. These programs vary in length from 1 to 3 days and some have an on-line component. If you have achieved a Play Therapy Certification and you would like to work towards becoming a Play Therapy Supervisor, RMPTI offers the Blue Stream Play Therapy Supervision Program. This program allows you to study the critical content and theory related to becoming a Play Therapy Supervisor and to try on numerous supervision activities essential to this important role.